The past 30 days have been a blur, but all I know is that this year’s MovemberMania campaign — which is now over — has been a success. We accomplished more this Movember than I ever imagined and nearly doubled our $1,000 goal by raising $1,971 $2,021 this year. But that’s not the only reason I’m considering this year a success. 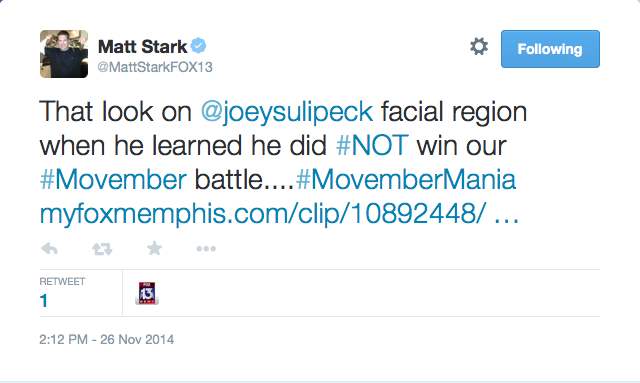 I was so excited when Joey Sulipeck asked me to come on Good Morning Memphis to talk about Movember, but I had no idea what it would lead to over the next 30 days. 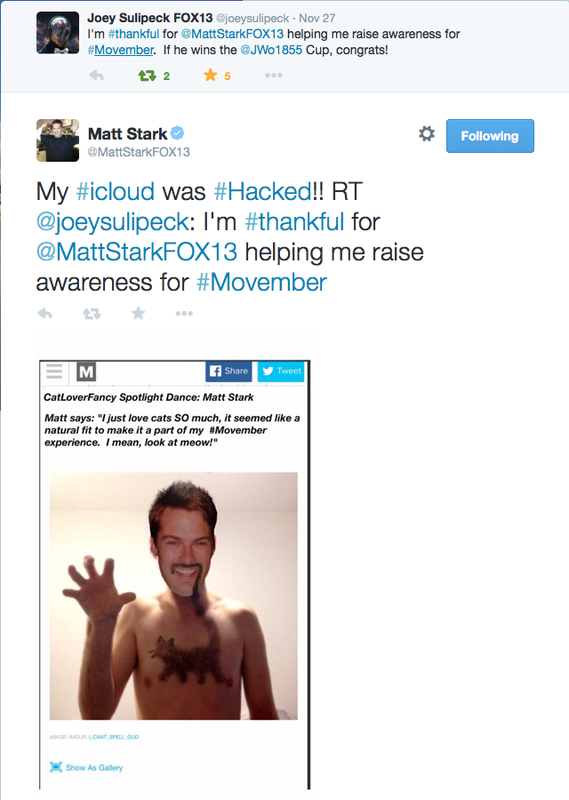 Not only did Joey — and Matt Stark, the Fox 13 Sports Director — grow mustaches on-air over the month, but they each talked about what Movember was and the importance of men’s health. 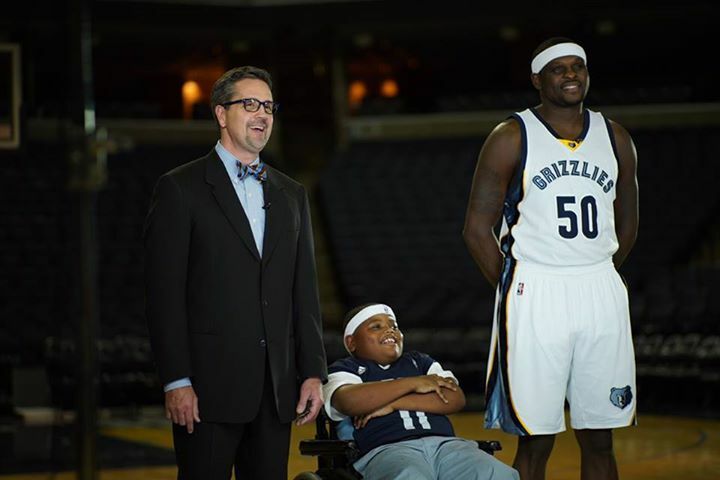 Joey cut promos with the Good Morning Memphis hosts, Valerie and Ernie, and even kept his mustache during a Make-A-Wish commercial he shot with the Memphis Grizzlies, which will be airing through December. 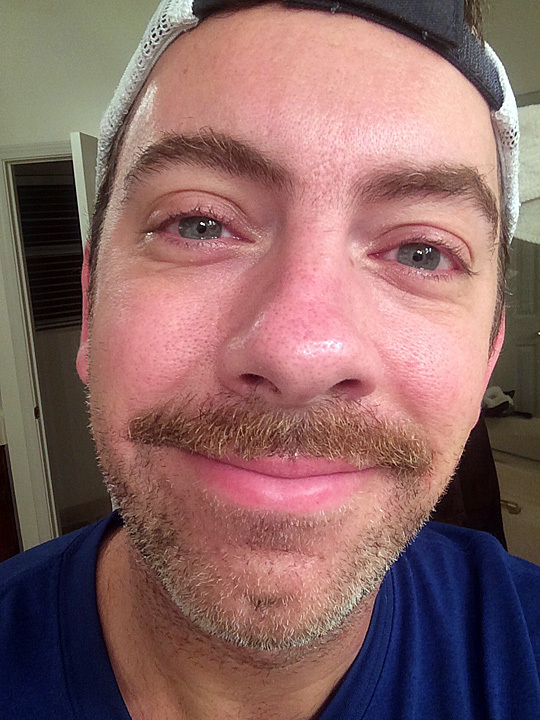 Matt talked about Movember during his sports segments at night during the news at 5 and 9, and wore his mustache proudly to Grizzlies and Memphis Tigers games. 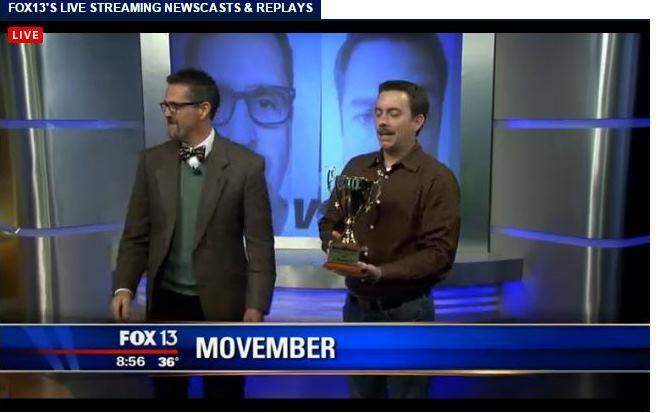 I was so excited about what those two were doing that I decided to get a MovemberMania Media Mustache Trophy made to give to the winner. I was even more excited when Joey wanted me to come back on-air at the end of the month to reveal the trophy on live TV. Revealing the trophy on-air to Joey. Joey’s reaction when I told him that he and Matt were tied in donations was priceless. You can watch the video here. 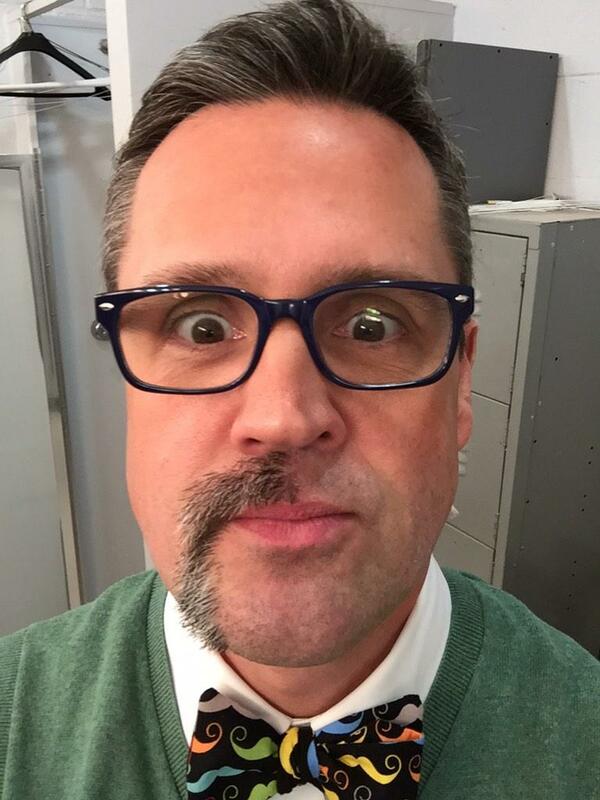 When he said he was going to shave off his mustache on-air the Wednesday before Thanksgiving because it was the last day he was going to be on TV until Dec. 1, I thought it was a great idea. 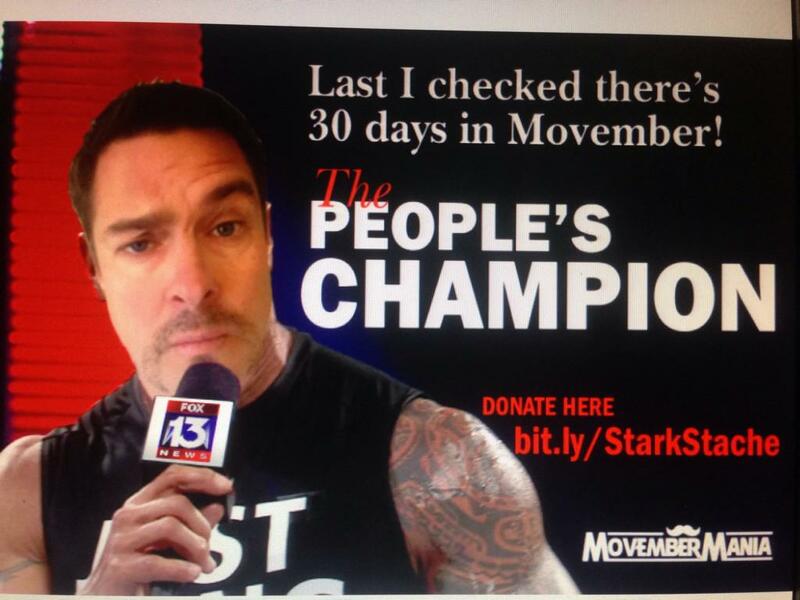 I figured with all he had done for Movember shaving on-air would be great publicity for the cause. He had a blast with it, shaving off half in one segment, the rest in another. Joey walked around on-air like this which made the people happy, whether they wanted him to shave or keep the mustache. 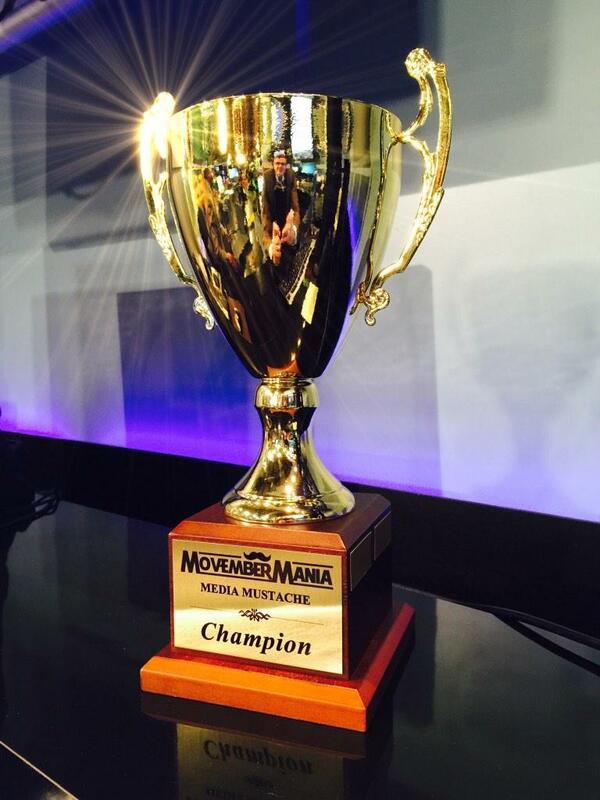 So when Matt starting giving Joey a hard time about shaving early, even calling himself the People’s Champion on-air, I thought it was great television, and great for Movember. They were getting the word out about Movember on-air and on the Tweeter, which I was enjoying and retweeting like crazy. It felt perfect for my MovmeberMania theme, which was based off WWE’s WrestleMania. The way they were going at it reminded me of the the old Memphis wrestling days (pre-WWE) where guys like Jerry “The King” Lawler, Bill Dundee, and Dirty Dutch Mantell would go on-air bad-mouthing each other to the point you’d swear they hated each other’s guts, even though you knew they were riding to events in the same car. I felt like Eddie Marlin, the old Memphis wrestling promoter, (or Vince McMahon for you younger people) as the Joey vs. Matt battle unfolded over Thanksgiving weekend. I felt like we could have packed the old Mid-South Coliseum to the rafters — like it was during Lawler’s matches with Andy Kaufman — to watch Joey and Matt do battle. I truly hope things didn’t get taken personally between the two, because that definitely was not my intent. I was enjoying the publicity for Movember and had no favorite. 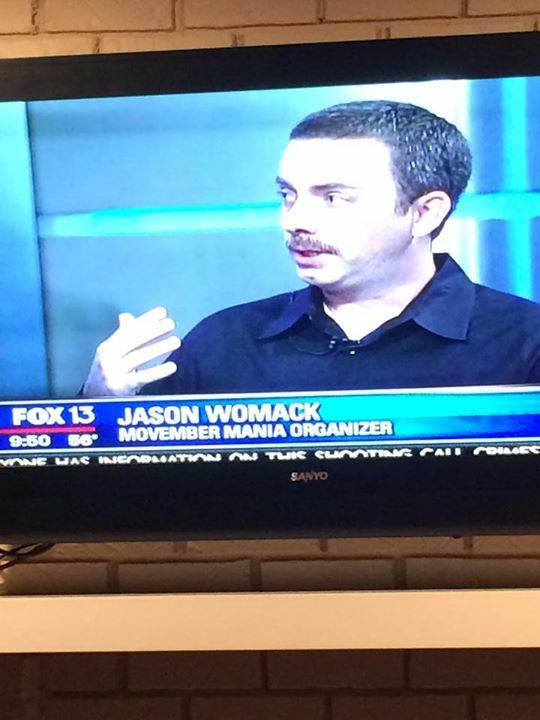 I was thrilled that they were helping get the word out in Memphis, where not many people knew about Movember previously. For the record, I don’t think Joey quit. I understood what he was doing and why he shaved when he did (it was sweeps week after all). I also didn’t think Matt was whining. I thought he was helping build up the competition to drum up donations. 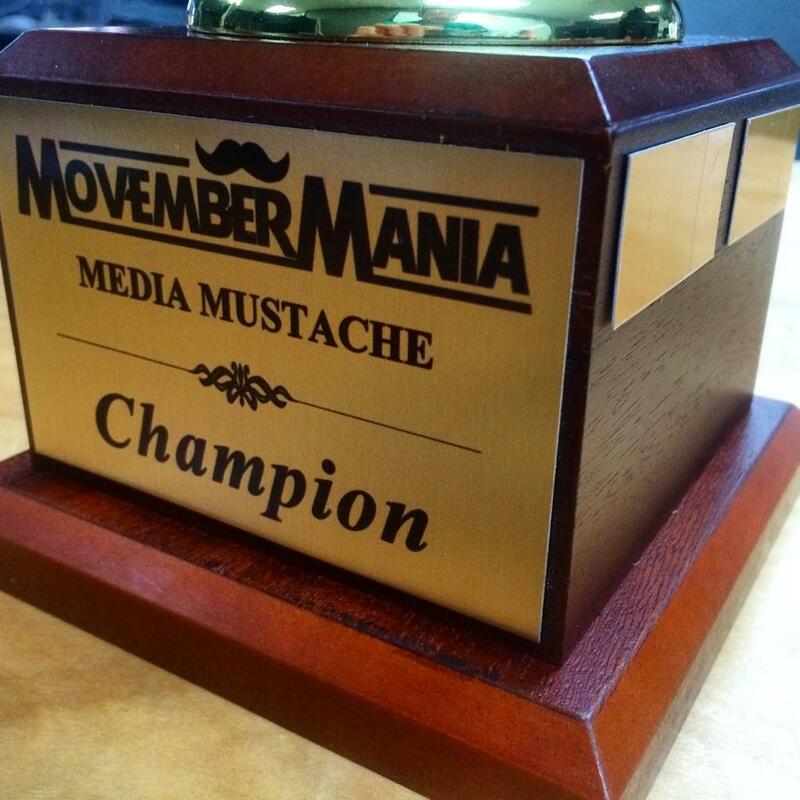 In the end, Matt ended up raising more money than Joey and gets to keep the MovemberMania Media Mustache Champion trophy for a year. 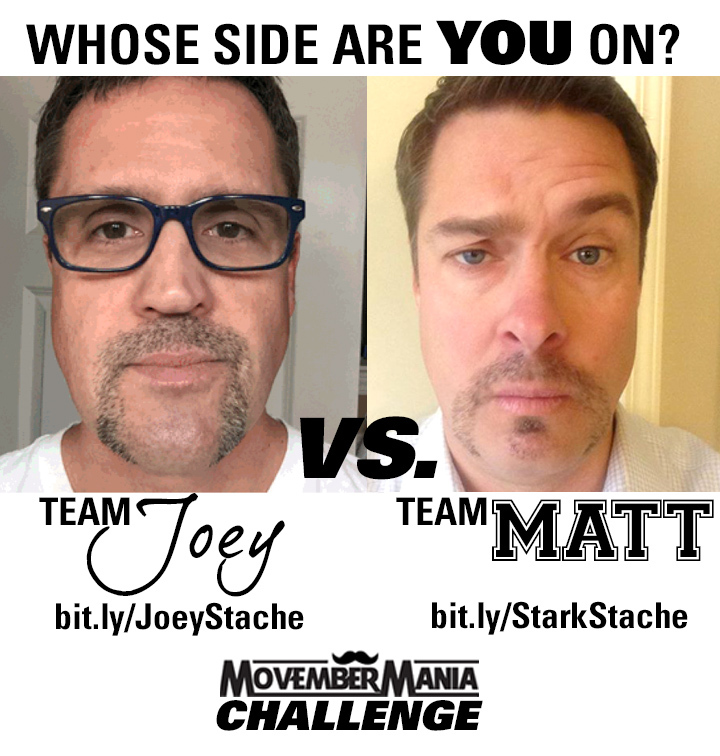 I can’t imagine how much the amount of air time that Joey and Matt dedicated to Movember — not counting the times I was on-air — would have cost. But I do know that MovemberMania would not have been as successful without those two being involved. I can’t begin to thank them enough for everything they did this year and I sincerely hope they are back in 2015. I’m hoping to brainstorm with them about how to get local businesses, groups, and maybe even additional on-air personalities in the Memphis area involved. Thank yous are also due to each person who took the time to donate to me or anyone on MovemberMania. The fact that you gave your hard-earned money to Movember — even if it was for cookies from Sweet Treats — means more to me than you realize. Thank you from the bottom of my (previoulsy-mustached) heart. 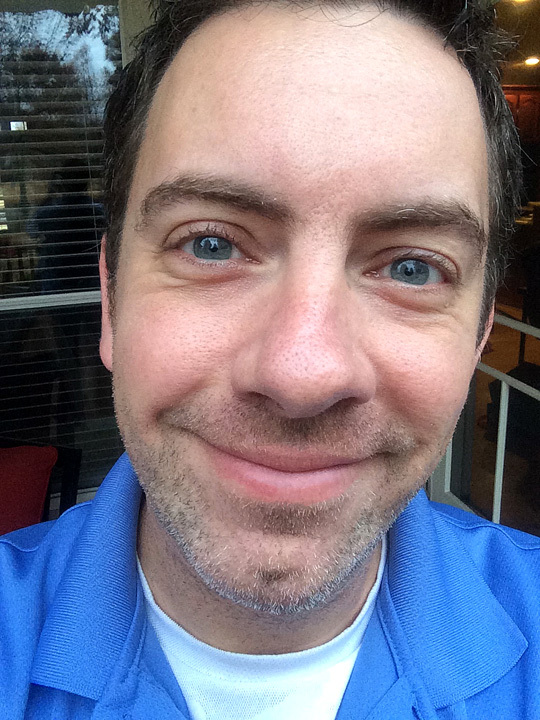 Gallery | This entry was posted in 2014, Daily Life, Movember and tagged daily life, health, humor, life, Memphis, Movember, MovemberMania, people, television, TV, wrestling. Bookmark the permalink. Congratulations sir! You did very well. Congrats! Well done! It sounds like you all had a lot of fun with it, too.